Summer is here and drought is already occurring across much of our state. Texas experienced temperatures well above average across most of the state in May—with some areas even breaking previously-recorded highs. As of July 3, about 82 percent of Texas was in some level of drought conditions. There have been several harsh droughts in Texas’ history; notably, the seven-year drought of the 1950s, and the major drought beginning in 2010 and lasting through 2015. Check out this interactive story map to see how the most recent major drought evolved. Drought is one of the most common and costly types of natural disasters in the United States. It can impact the economy, environment, and society by limiting water, impacting habitat, and triggering health and safety problems. In general, drought is considered a prolonged period of below normal precipitation. Scientists consider factors such as rainfall amounts, vegetation conditions, soil moisture, and reservoir levels when characterizing droughts. Find out about drought conditions in your area. 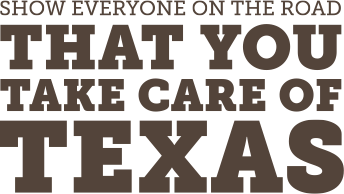 Check the Texas Commission on Environmental Quality’s (TCEQ) website for updated drought information. You can also sign up to receive an email or text when this information is updated. Additionally, the TCEQ answers the public drought-information hotline during business hours: 800-447-2827. Use the Texas Water Development Board’s (TWDB) website to keep an eye on reservoir levels in your area. 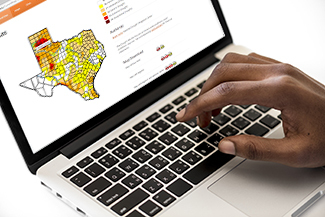 Review the Texas Water Conditions Report to learn more about reservoirs, streamflow sites, and groundwater wells. Learn about our State Water Plan, which addresses the needs of all water users in the event of a repeat of the record drought of the 1950s. Weather patterns and demand on water supplies vary drastically across Texas. When dry conditions are prolonged, it can put a strain on all water uses. You can help by implementing practices that will reduce demand for water supplies—before drought strikes, so dry conditions will be easier to bear. In fact, water conservation is an essential part of the State Water Plan. Billions of gallons of water are wasted each year due to inefficient landscape irrigation. 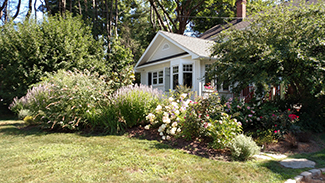 Order or download our free landscape materials, which will help you learn about topics such as rainwater harvesting and effective lawn irrigation. Use the Native Plant Database from the Lady Bird Johnson Wildflower Center to choose native plants that tolerate drought well. Check with your local government to learn about watering restrictions in your area. 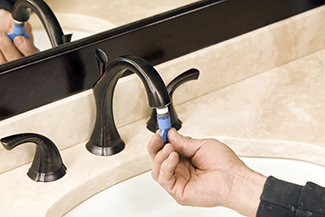 Install water-efficient fixtures; look for the Environmental Protection Agency’s (EPA) WaterSense label to find quality products that save water. Some ENERGY STAR products can help you save water in addition to energy. Check out dishwashers and clothes washers with the ENERGY STAR label. You don’t have to spend money to save water—some small actions can make a huge impact. Take shorter showers, turn off the water while brushing your teeth or shaving, sweep your driveway instead of hosing it off, and run only full loads of laundry and dishes. Fixing household leaks can be an easy and inexpensive way to save on water. It’s estimated that the average household wastes more than 10,000 gallons of water each year due to leaks. Check our website to find even more ways to prepare for a drought by conserving water.